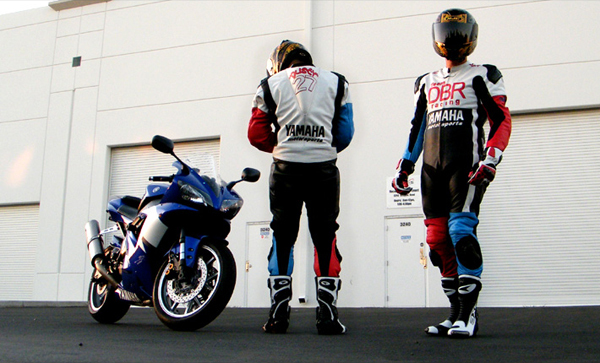 Much like every other piece of motorcycle protective gear, race-suits come in many different varieties and price points. It would behoove a shopper to spend the time in researching race-suits when looking to purchase, especially with regards to their available budget. In an ideal world, we all would be able to afford the best race-suit out in the market, but the reality is that much like the gear themselves, shoppers also come with varying degrees of budget, and so affordability is a sliding scale from one rider to another. Regardless of your budget though, the one thing you should try and not compromise on is the fitment of your race-suit. My custom race-suit, but the fitment left a lot to be desired. I don't trust this suit for anything but street use. 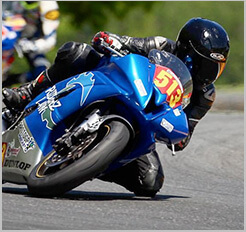 A race-suit is a rider's predominant protective gear over their body, meant to be worn as a second skin to take the brunt of an incident should a rider finds themselves in a crash. Whether it be road rash from a slide, or hitting the pavement once or multiple times from falling off – or worse, being thrown off the bike – a rider's race-suit (and its built-in armor) is their first line of defense. For me to write that a race-suit ought to be like your second skin means it ought to fit just like that – skintight. An impeccably fitting suit that fits the rider like the proverbial glove will work as intended by design. If improperly fitting, the interior armor such as the elbow and knee pads may slide or move between the suit and your body, rendering them unable to protect the vital joints they were intended for. If not tight enough, the extra "wiggle room" may let your body slip or slide inside the suit, leading to friction burn or gashes on your actual skin. I know one can argue that a small or focused area of skin trauma is a lot better than a full-on road rash if you were without a suit at all, but take it from me – you don't have to make a compromise. A properly fitting race-suit will not harm you even a little just for the sake of it doing its job. My old race-suit; the left knee pad rotated away from my knee at impact, tearing the inside seams open and gashing my knee. Now maybe you have to pay top-dollar for the best track-suit you can find, or maybe even more for a custom-fitted suit (there's no better fit than custom-fit), but if you CAN afford it, it's smart money spent wisely. Fortunately, not all suits are created equal, and not all suits priced at the low-end are necessarily cheap in quality. Take my Hein Gericke Celtic race-suit, a model that has long been discontinued but to this day remains to be the only suit I trust to use around the racetrack. I have yet to find anything that fits me as well as this suit except maybe for a true custom-fit suit, and even then, I may just ask the tailor to make the dimensions EXACTLY like my Hein Gericke Celtic suit. The suit has survived a high-side crash and a low-side crash, each time letting me walk away unscathed with no broken bones or skin trauma. The suit has been worth tenfold the $500 I paid for it. A properly fitting race-suit is an investment in your safety. So invest wisely and find a suit that fits smart.